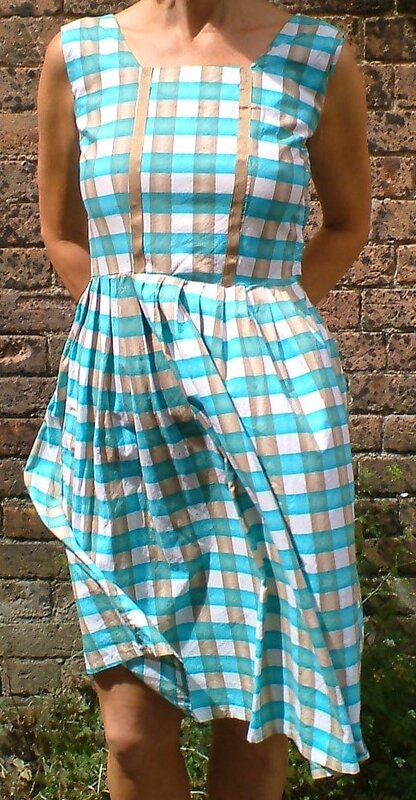 1950s vintage check print scoop back dress approx size 12. 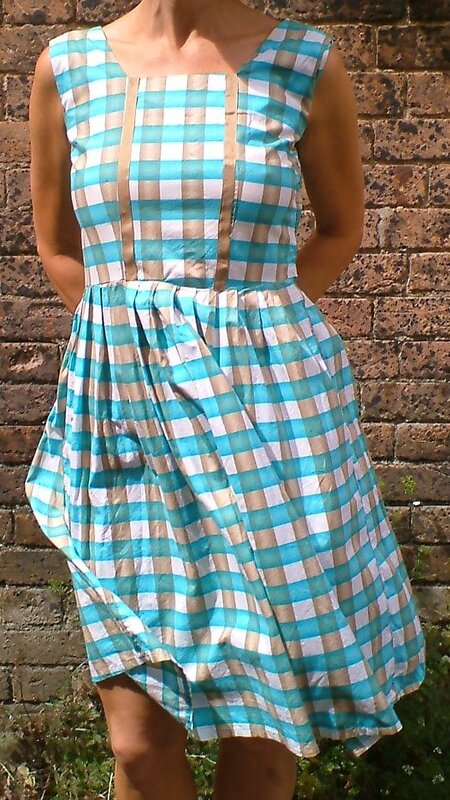 Although this dress has been well worn - it's been repaired several times - the colours are still true and vibrant! 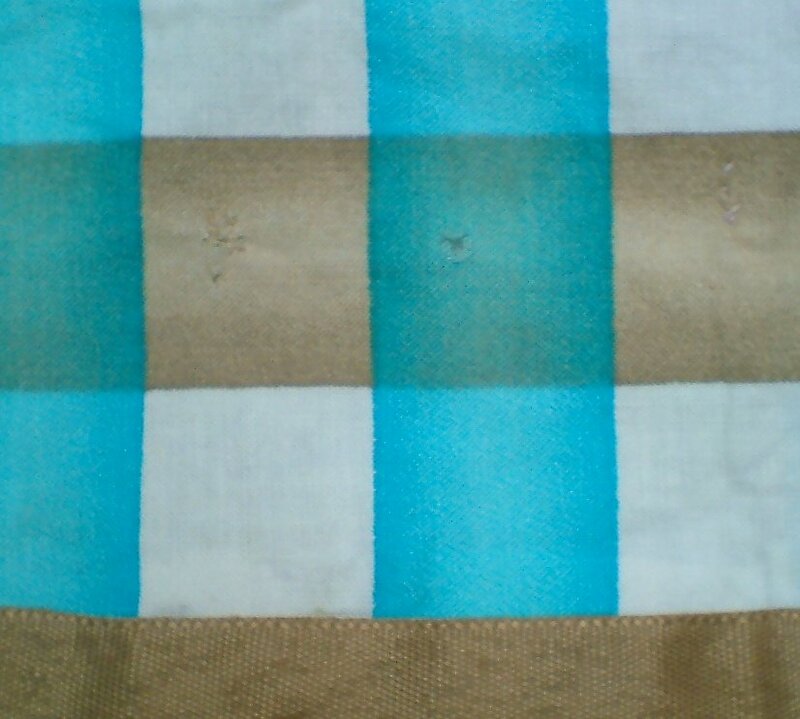 High waisted and full skirted, it is made from cotton, with large checks of white, turquoise and golden brown, shades which enhance a suntan. The style is daring, with a prim front view but low scoop back. 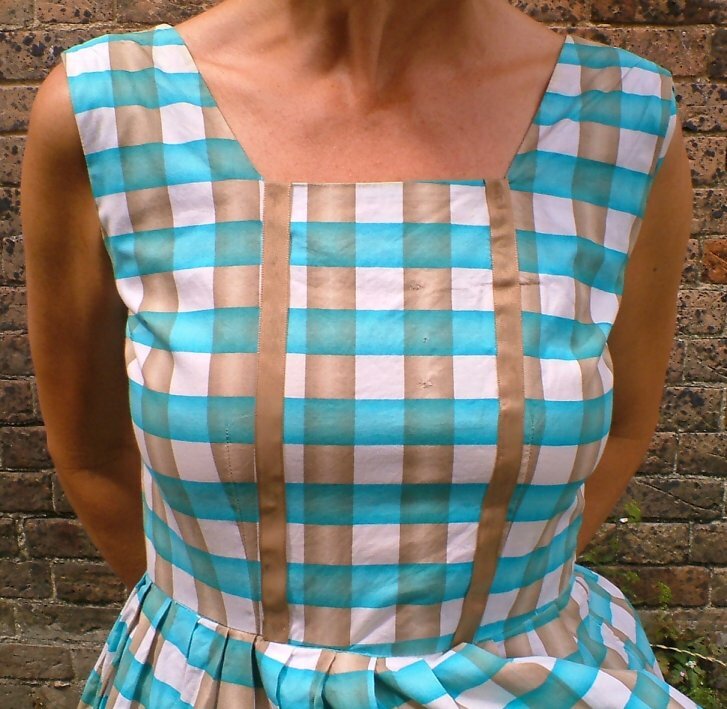 The bust is lightly shaped, with a square neck trimmed with golden ribbons descending to the full, pleated skirt. The back is lower than the front by 5 ½ inches (14 cms) - low enough to draw attention to your tan, but not so low as to reveal any underwear! It fastens with a little zip at the side. 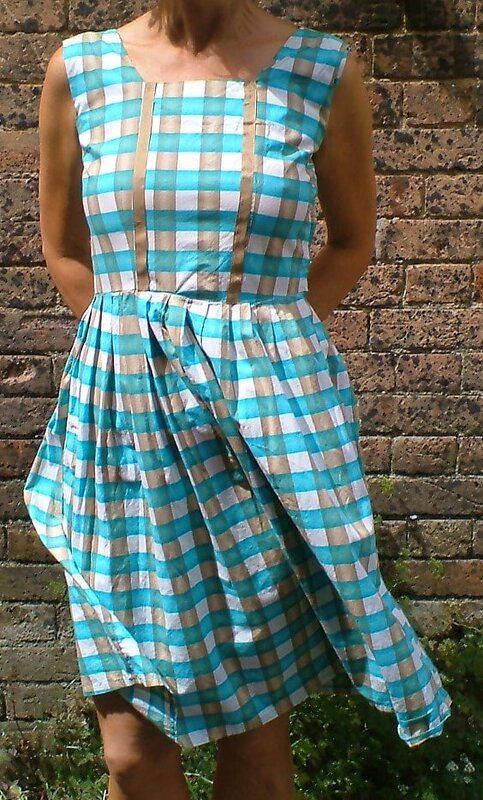 It's a truly delightful dress, and it's easy to see why it was considered worth mending! With the repairs - which were obviously caused by accidental damage, rather than wear - it is now in good vintage condition: the only obvious faults are two little pin holes on the front. 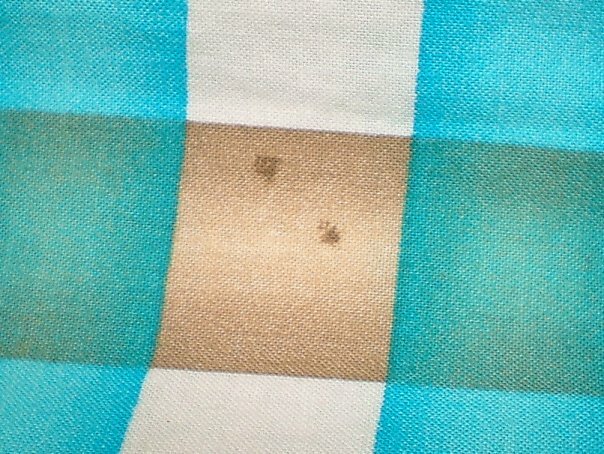 There are also a couple of very small marks on the skirt, but these do not show in wear. 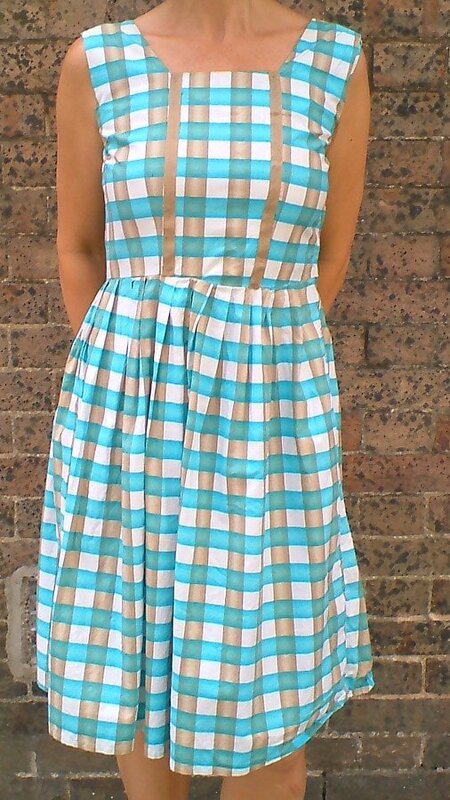 It's a perfect, everyday summer dress, in a modern size 10 or 12. Approximate measurements are: waist, 30 inches (76 cms); bust/underarms, 37 inches (94 cms); length to waist from shoulder seam, 16 inches (40.5 cms); length of skirt, 25 inches (83.5 cms); circumference of skirt, 68 inches (172 cms).